I have a rather different than average style, so when Arhaus encouraged me to possibly do a post about my dream vanity, I was worried about not being able to do it justice. However, I decided to take the plunge and I'm really pleased with what I've come up with. At the moment I don't have a vanity area. I sit on my rug in my room in front of my mirrored closet doors with all my make-up spread around and do my face up there. It works but it isn't very stylish nor organized. This post is instead all about what I'd want for an area to do my make-up in if money was no object and I could have anything I wanted. Though I searched for quite awhile I couldn't find anything that fit my preferences exactly for what I would want in a vanity. As I stated before I have preferences for items that aren't the current fashion. Mainly I like traditional and vintage pieces that are unique but don't look distressed or old. I really dislike the look of chipped paint, or the idea that the drawer on might have a half rusted handle. In addition to a vintage look I wanted practicality- meaning a good amount of storage. I would love to have an area that has ample divided storage for everything. A section for lip products, for eyeshadow palettes, for blush etc. 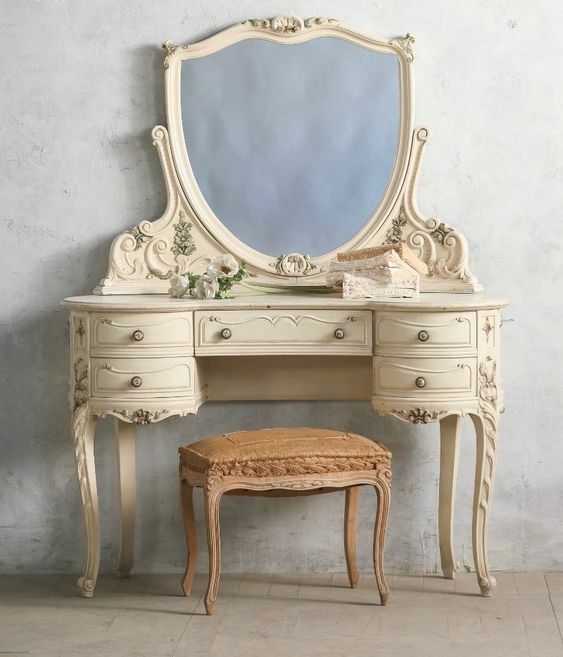 This vanity is one of my favourites of the ones that appealed to me. I love the rich turquoise colour. I especially love the contrast of the deep stained wood tabletop against the turquoise. I just think that's so eye catching. I also really adore the shape of the mirror, as well as the multiple levels of table space. Personally however, for me it would need some more storage and I'm not a fan of wheeled feet on furniture. Which brings me to my next vanity choice. I love the desk part of this vanity. I love all the drawers for storage, the decorative swirls outlining the drawers and on the legs. The delicate shape of the legs, even the simple drawer handles. I'm not a fan of the mirror or the colour but otherwise the bottom half is perfect. If I could combine the first vanity with this one I'd have my perfect vanity. This is a bit of a cheat, but I couldn't pass up on including it. 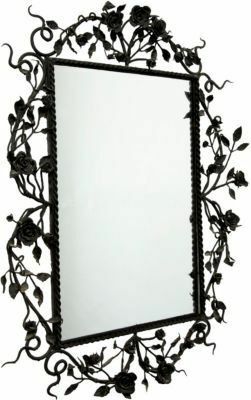 If I couldn't find an attached mirror that I liked I'd get something like this. I love the feel of this. I love the wrought iron work and the rose garden theme. Just stunning. And besides you can never have too many mirrors, right? I picked out two lighting options for my perfect vanity area, mainly because I liked both, but also because having sufficient light is so important when trying to do your make-up. 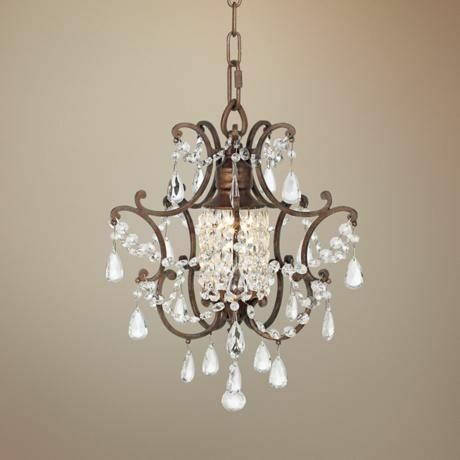 My first pick is the above pictured mini-chandelier. I didn't even know they had mini-chandeliers until I started looking at Arhaus' lighting pages, but I love the idea of this. It doesn't matter if you have a small space you can still add instant glamour and class. The only thing I'd change about this chandelier would be to make it black metal to match the rose garden mirror or to set off the dark stain of the wood in the stained top of the vanity. 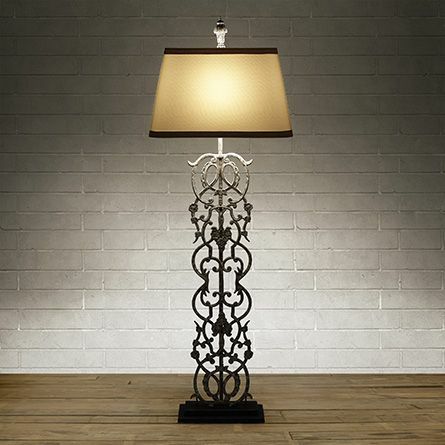 The second lamp I chose was this floor lamp. I just love the metalwork stand. The nice thing about a floor lamp is that you can bring light to darker corners and such- you don't need the electrical to already be in place like you do with an overhead light, all you need is an outlet nearby, or possibly an extension cord. 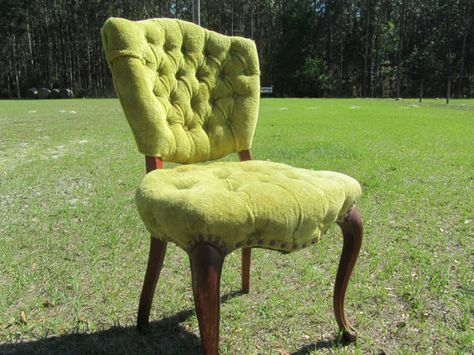 I adore the style of this chair. Not only does it look neat with all the curves to it but it looks comfortable! I'm someone who needs back support so I love the full back on this, plus it looks like it has a decent amount of cushioning to it as well. I'd stain the wood the same as the vanity top and change to fabric to match the turquoise of the vanity. I'd finish the whole vanity area off with some more storage. 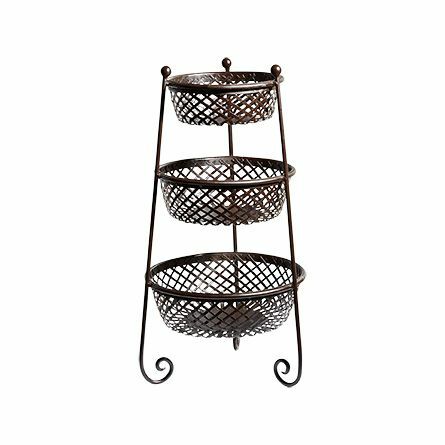 I really like this triple basket stand from Arhaus. It's practical and I like the style of it. Plus I like that it's partially transparent as that makes it easier to choose amongst items that are similar. It's also a great spot for products that I use everyday so I don't have to dig through drawers. 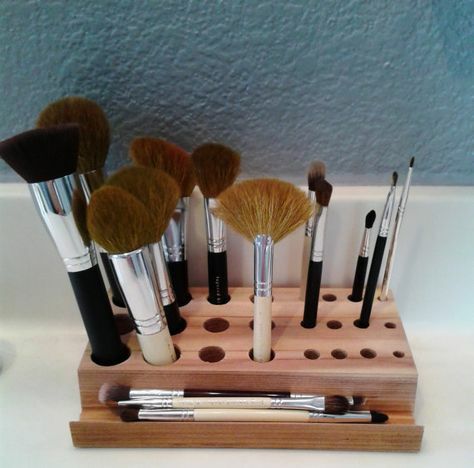 Last but not least is this wooden makeup brush holder. I have so many brushes and it helps a lot if I can keep them all in one place. I like the simple natural wood grain of this, and larger to smaller hole gradient. I also like the many holes this has as well as the depth of the holes as I can store shorter brushes in this. The ledge on the front is a nice touch too. So, that's it, my dream vanity space. If you're interested I created a Pinterest Board Here that shows a couple vanities and other items that I liked the look of for a perfect space to get ready in. What about you, do you have a dream vanity area? What do you currently use? Any pieces that really call out to you? Let me know! Disclaimer: Though I was given the idea from Arhaus to do this post, I did not receive anything in compensation for including them. The only benefit is to hopefully get to a larger audience. None of the links on this post are affiliate links.